Sunday, November 11, is traditional Veterans Day, although it will be officially observed on Monday, November 12. As I’m sure you know, this holiday is dedicated to those who served in the U.S. Armed Forces. So we all need to make sure to honor the veterans for their great service to this great country! Important! 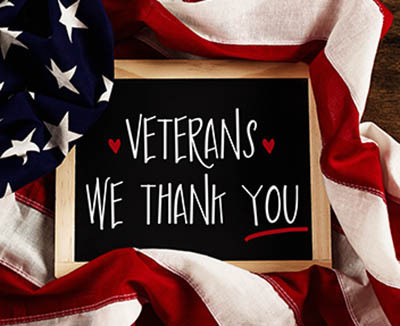 If you are a veteran, or if you know a vet, please make sure to take advantage of the many free or discounted meals and services for this holiday. See the links at the end of this blog posting. As of 2014, three states have more than 1 million veterans among their population: California (1.8 million), Florida (1.6 million) and Texas (1.7 million). Previous PostNCP Named One Of The Top Places To Work On Long Island!Next PostHoliday Shopping – In Store Or Online?